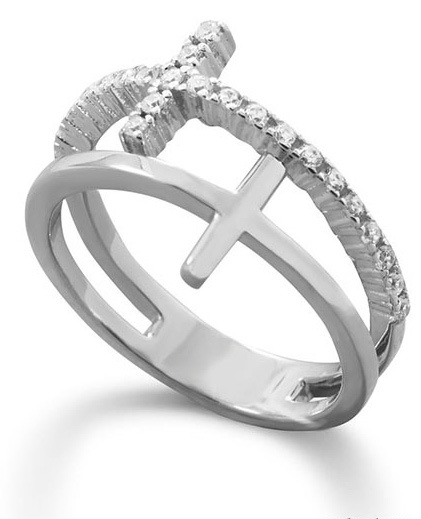 Wear your faith and wear it fashionably, with this double cross cz ring crafted in .925 sterling silver and rhodium plated. Both polished ring and CZ double cross design band is 13.5mm across the front of the ring. The split design silver cross band graduates to 4mm width. Our cubic zirconia double Cross ring is available in whole sizes 5-9 and includes free shipping! 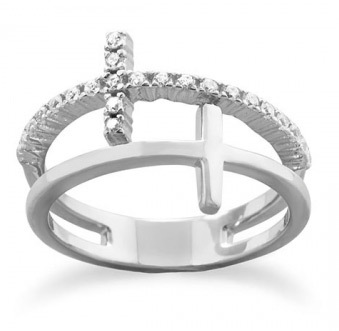 We guarantee our Double Cross CZ Ring in Sterling Silver to be high quality, authentic jewelry, as described above.